We’ve published issue two of our (now) regular newsletter. You can download the latest copy by clicking the image to the left. It will take a short break over summer and return in September. If there are any issues that you would like to see covered, news you’d like to tell us about or events you’d like us to advertise then get in touch. 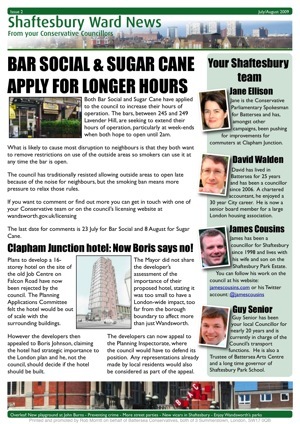 If you want to get the newsletter delivered directly drop me a line at cllr@jamescousins.com. I promise I’ll only use your email address to send you the newsletter and other news updates, probably around 1 or 2 emails a month. Good to have, well done. Can you include me in the email-list? I’ve added you on our list.